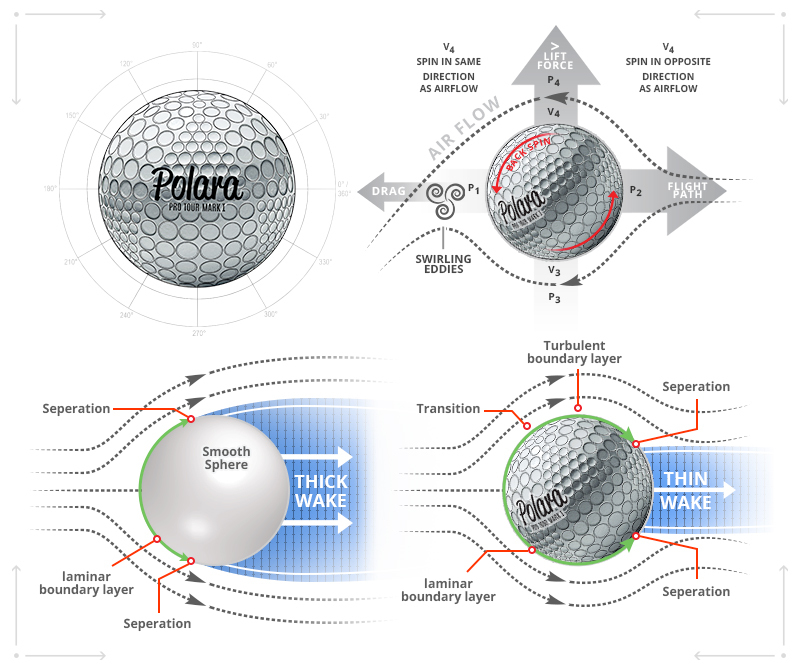 Live on Kickstarter, the Polara Pro Tour FS Mark I is a breakthrough revolution in golf ball design allowing for maximum distance and accuracy. "You wouldn't think there is much to golf ball technology, but really, the golf ball probably has the greatest affect on your game,” says CEO Steve Lebischak. 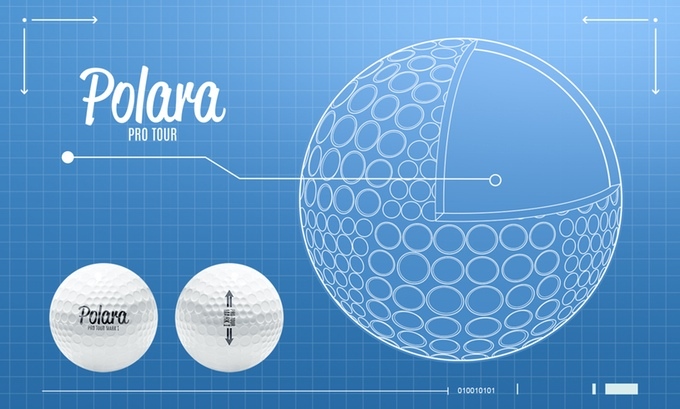 Polara Golf, inventors of the world’s first and only famed anti-slice golf ball, is back with an incredible breakthrough revolution in golf ball design- the 'Polara Pro Tour FS Mark I' and is live on Kickstarter raising funds to bring the project to life. The 'Polara Pro Tour FS Mark I' golf ball has created a patented, one-of-a-kind dimple pattern which has been designed for maximum distance and maximum accuracy in flight, designed for USGA competitive play. The Polara Pro Tour FS Mark I golf ball dimple pattern is a cube-octahedron, with 8 triangular regions and 6 square regions formed by 4 great circles. A visually stunning ball, the design makes this easily one of the one of the most eye-catching golf balls ever created. Coined ‘Visual Design Dimple Technology’ by Head of Design Dr. Doug Winfield, the company spent years experimenting with radically different dimple designs while studying their behavior. In the past, companies have used only 1 type of dimple. The Polara Ultimate Straight XD was the first ball to use both flat and rounded dimples (the company’s first non USGA conforming ball). The 'Polara Pro Tour FS MARK I' is the first ball to use that innovation of combining dimple types for a USGA conforming golf ball. Every aspect of the ball contributes to its overall performance. Supporting this dimple innovation is a core that is made of premium rubber and is special chemically treated to provide a high energy core making this ball able to achieve maximum distance allowed by the USGA. 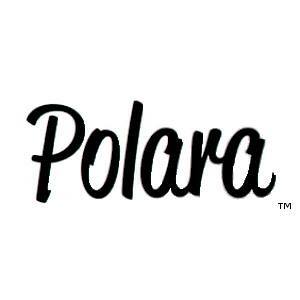 Polara Golf is the leader in game improvement equipment for the recreational golfer. Polara Golf’s mission is “To make the game of golf more fun”. All of the Polara golf balls and clubs are designed for use by recreational golfers who want to take advantage of technology improvements designed to help them score lower and enjoy the game more. Polara Pro Tour is the USGA competition line of radically different and innovative design technology for golf balls and drivers.